Each post is informed by 35 articles read as part of class assignments, as well as an additional 10 to 20 articles independently researched by the authors. Links to relevant references offer additional exploration for interested readers. Today’s post was written by Carolyn Rush. Carolyn is a senior sociology major at Ithaca College. Her career plan is to move home to D.C. and find a job in social work. Breastfeeding has long been viewed as a no-go in the workplace. It seems as though the only option for working, nursing mothers is to either potentially sacrifice the health of their baby due to switching from breast milk to baby formula, or to sacrifice valuable time and money, or even their job. In the 1800s, breastfeeding was the normative means of nurturing a child, as more than 95% of infants in the United States were breastfed until between the ages of two and four. In 2011, studies showed that 79% of infants started to breast feed, but at 6 months the number of infants being breastfed dropped to 49%, and then dropped again to 27% at 12 months. The decline in breastfeeding correlates strongly with the growth of women’s participation in the labor force, which went from 28% in 1940 to 58% in 2012. What does this mean for children with working mothers who no longer have time to breastfeed? Higher infant mortality rates compared to infants given breast milk, poorer nutrition, and a weakened immune system are only a few potential negative consequences. Breastfeeding in the workplace may be seen as inappropriate and unprofessional to some, and working mothers even face harassment because of it. However, the health benefits to both the child and the mother are undeniable, along with the potential benefits for the employer. In 2010, Obama passed the Healthcare Reform Law, which amended the provisions of the Fair Labor Standards Act by adding the Nursing Mothers Amendment. This law requires all employers to offer eligible employees an appropriate location and job-protected time off from work to express breast milk for their nursing infants. However, this provision leaves many working mothers uncovered and requires break time only to pump for, not to feed, children younger than 1 year. It also exempts small employers that demonstrate hardship in doing so. In theory, this law seems great, but in practice, it is lacking. Studies recommend that mothers breastfeed exclusively for the first six months in order to attain optimal benefits. 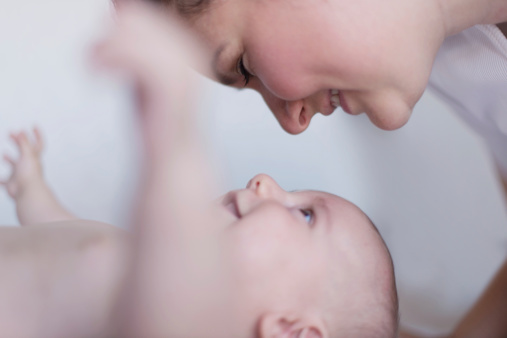 Following this six-month period, studies recommend that mothers supplement breast milk with additional nourishment for at least the first year of the infant’s life. This is very hard for a mother to accomplish if her place of work does not have the appropriate space for her, and is often the reason that she will end up leaving her job, and therefore lose a valuable income. Currently, only 49 percent of companies have some kind of space for nursing mothers to breastfeed. In companies with 100 employees or more, it’s 53 percent. This percentage needs to increase. I suggest stricter enforcement of workplace regulations, which would include more frequent inspections, and applying consequences for companies not complying with the law, such as stiffer fines. In order for companies, large or small, to be successful and have a greater rate of production, they need to have healthy, happy employees that actually want to work there. Breastfeeding can reduce medical costs for mother and child. For every 1,000 babies not breastfed, there are an extra 2,033 physician visits, 212 days in the hospital and 609 prescriptions. One-day absences to care for sick children occur more than twice as often for mothers of formula-feeding infants. A study of multiple companies with lactation support programs found an average retention rate of 94%. A tax credit is provided to businesses that adopt workplace friendly breastfeeding support measures. And last but not least, who wouldn’t want to work for an employer that provides support and respect for nursing mothers? When it comes to providing reasonable time and space for a nursing mother to breastfeed, employers should be required to provide her with the necessities she and her baby need. The facts speak for themselves. Workplaces and employers have a crucial role in providing supportive workplace environments, appropriate facilities, strong management support, and relevant policies in order for women to feel adequately supported and encouraged to continue to breastfeed when returning to work. The bottom line is, breastfeeding is beneficial not only for the baby and the mother, but for the employer as well, so breastfeeding in the workplace should be supported and encouraged. And it is not only good practice. It is the law. Great article, well-researched and passionate! Hope you pursue your MSW. The world needs more women supporting women. Kudos!